The Rewind Button is a group blogging project instigated by Rachel Tynan. As part of her New Year’s Resolutions for 2012, she set out to listen to Rolling Stone’s top 50 albums of all time. Rebecca Stevenson thought it would be fun if a group of bloggers listened to the same albums at the same time, then posted their reactions. The Rewind Button is the group of bloggers who are going through the Top 40 and posting about a new album every Thursday. This is album is 11/40. After a month of traveling to Toronto, NYC and Calgary, then getting sick for two weeks, THEN producing and hosting the Two Year Anniversary of Say Wha?! on top of working a FULL TIME job, and weekly dance classes I am FINALLY getting to this review. 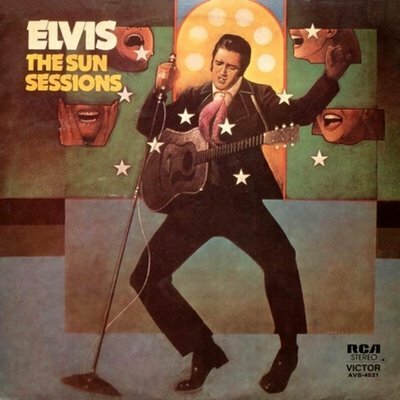 What did I think of this Elvis Album? In two words: Very nice. In three words: I’ll listen again. I was shocked that I liked this album. Maybe it had the mellow vibe that I craved after a cray-cray month. I liked is yodeling voice. Favorite songs: Blue Moon, I’m Left, You’re Right, She’s Gone and I Don’t Care If The Sun Don’t Shine and Don’t be Cruel. Mostly this album reminded me of the movie Cry Baby. It’s such a good movie. If you haven’t seen it yet, watch these videos and get a taste of its awesomeness.